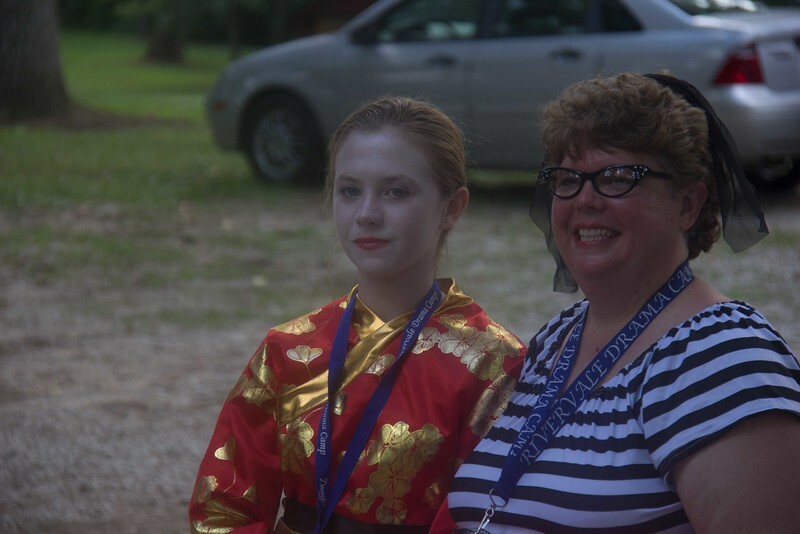 Parents are reminded to be at Camp Rivervale before 7 p.m. this evening for Drama Camp's 25th presentation. Campers have been preparing for this skit all week and it's a performance that you won't want to miss! The director groups were hard at work this morning making final tweaks and preparations to the script, costumes and stage props. It's obvious these campers are eager to share their newfound skills and talents with you this evening! 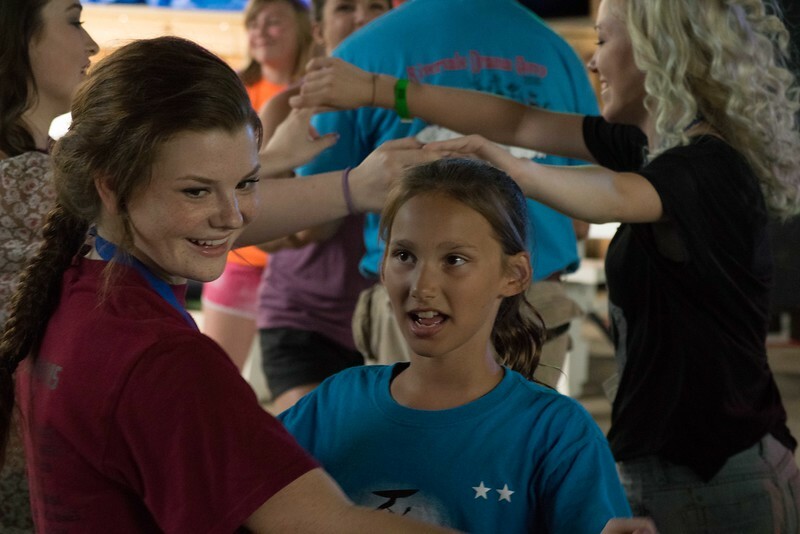 After celebrating dinner in style, the campers migrated to the Tabernacle for a dance party to commemorate their last full night at Drama Camp. Campers danced, sang and crowdsurfed with flat Jesus. Special thanks to DJ Sam, who provided the music for the event. 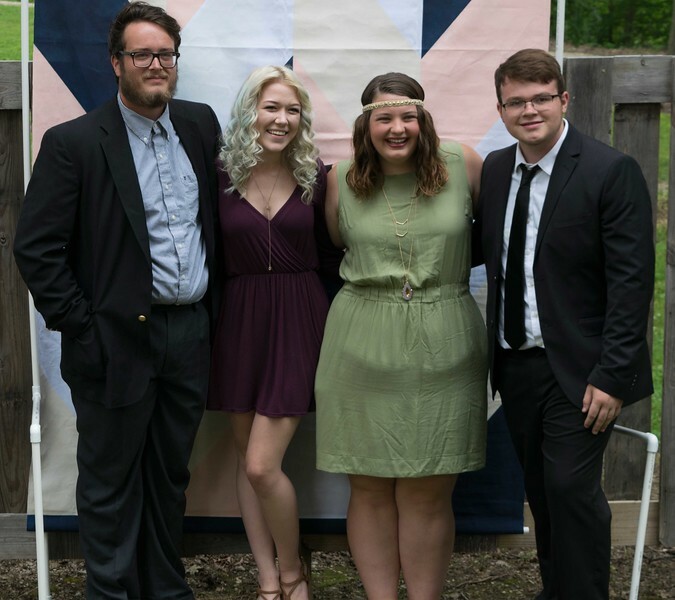 Campers were starstruck tonight as they walked down the red carpet into the dining hall at Otterbein Lodge, where they feasted on homemade lasagna. From long evening gowns, to high heels, tuxedos and more, these campers reveled in the opulence that only Rivervale can provide. It's the night before Drama Camp's big performance, and the campers are working as hard as ever to perfect their skills in their director groups. 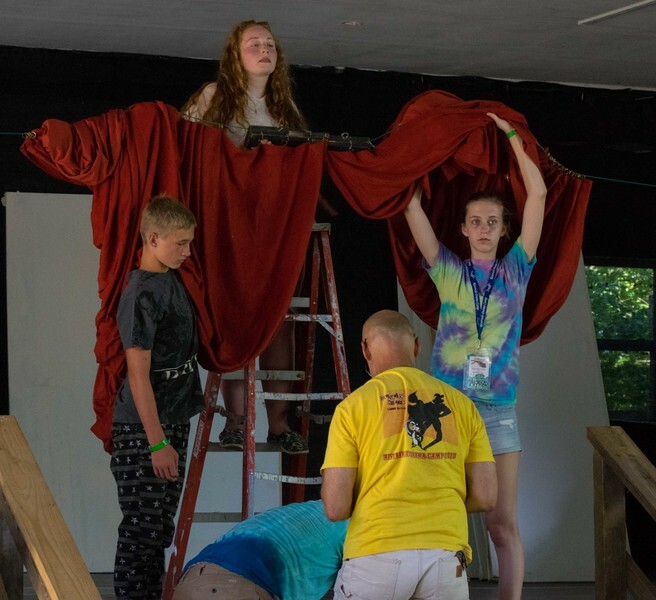 Campers have split off into sections to work on sound, lighting, acting, set building,costuming and videography. Parents should be prepared for a show worthy of many awards! Drama campers kicked off the morning with a hearty breakfast of French toast followed by an energetic worship service led by their counselors. 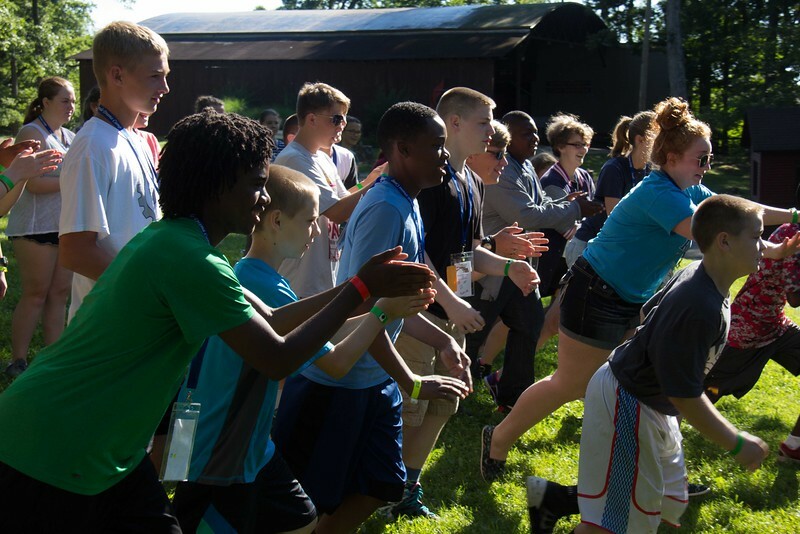 Afterward, the campers played games like Poison Dart Frog with the staff so that the counselors could take a rest. 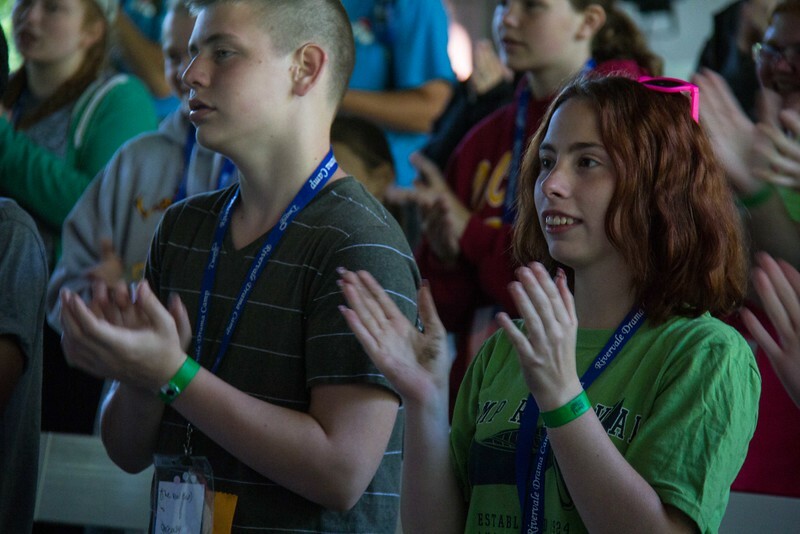 On Wednesday every year Drama Camp celebrates communion with an emotional worship service and holy communion. 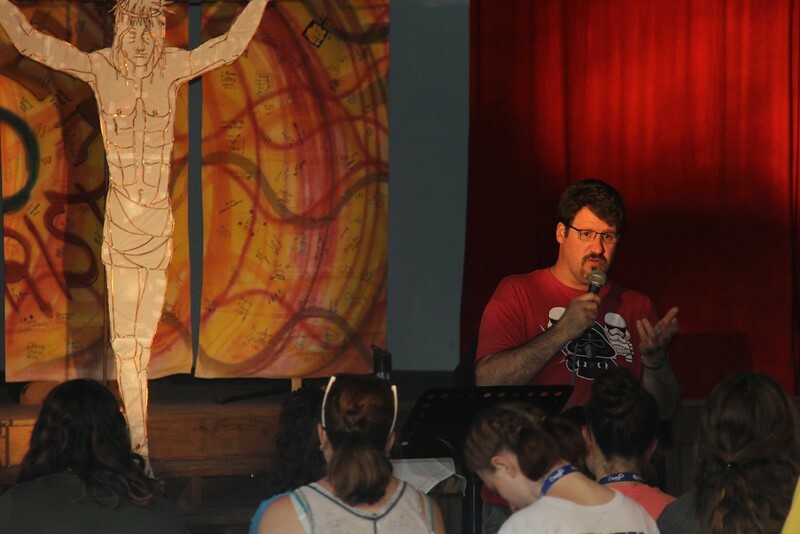 Tonight, spiritual leader Paul McBee led the campers in a lesson from the twenty-first chapter of John, where Jesus appeared to the disciples for the third time. Three times did Christ ask Simon Peter if he loved Jesus, and three times Peter responded yes. After this exchange, God laid before Peter a path to lead the church. 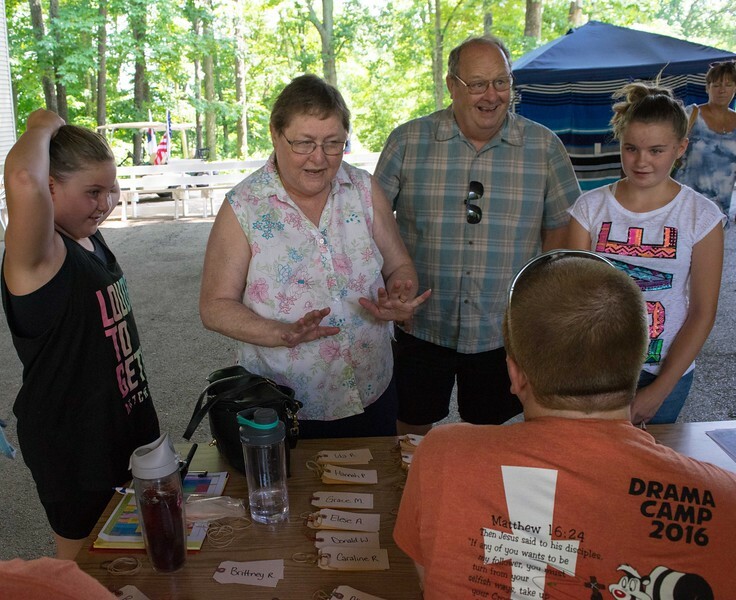 In the same way, Paul's sermon encouraged campers to answer Chirst with love and hear the path the God has for them. Shortly before the sun set over Camp Rivervale, a few drama campers were able to tackle our 35' rock wall. The bravest of these young climbers flew down our zip line to safety. 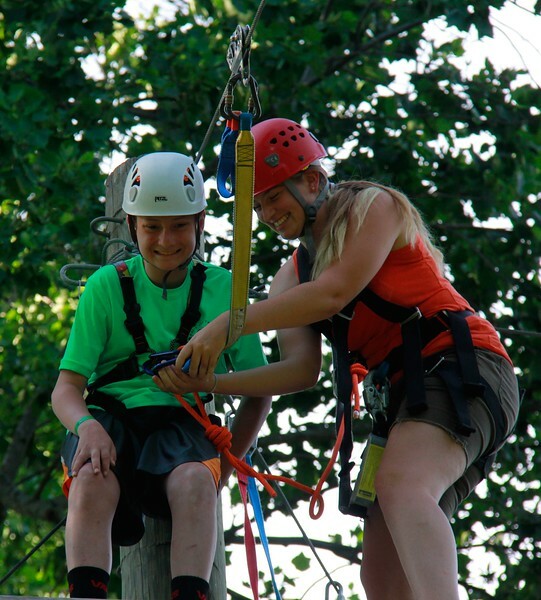 Three cheers for this amazing camper, who was able to overcome his fears with encouraging words from his friends below. 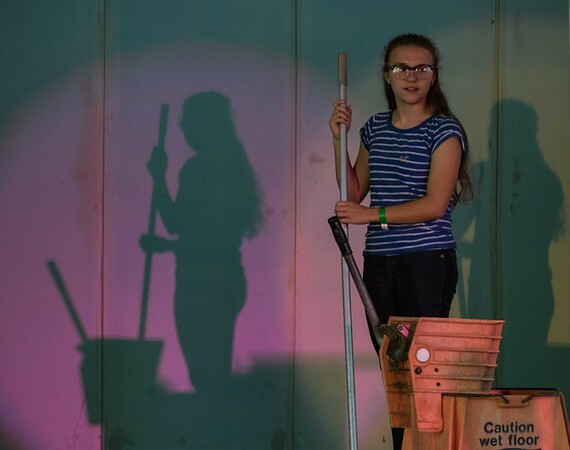 Drama Campers reconvened in workshops today to focus on the intricacies of stage lighting and to rehearse portions of their script for use in Friday's big performance. 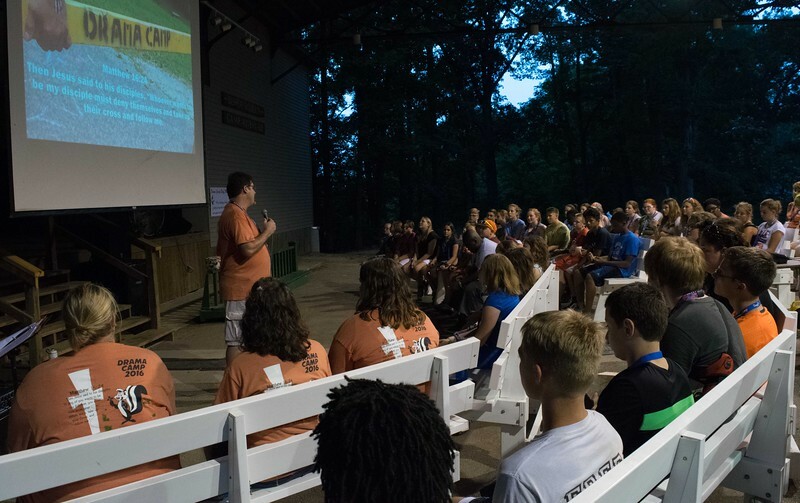 In keeping with this week's theme, counselors helped campers realize where God was leading them. Using the biblical stories of Ruth, Naomi and Abraham as a lens, our campers learned about the mysterious ways that God can speak to them. Never before has Rivervale hosted such a talented group of campers, and it showed tonight in Drama Camp's annual talent show. With acts like singing, Taekwondo and comedy, the audience was never bored. Tonight was Drama Camp's first official theme night and campers came dressed to the nines in costumes from every decade imaginable. From pioneer women to greasers and even grunge rockers, these campers look like something straight from a history book! 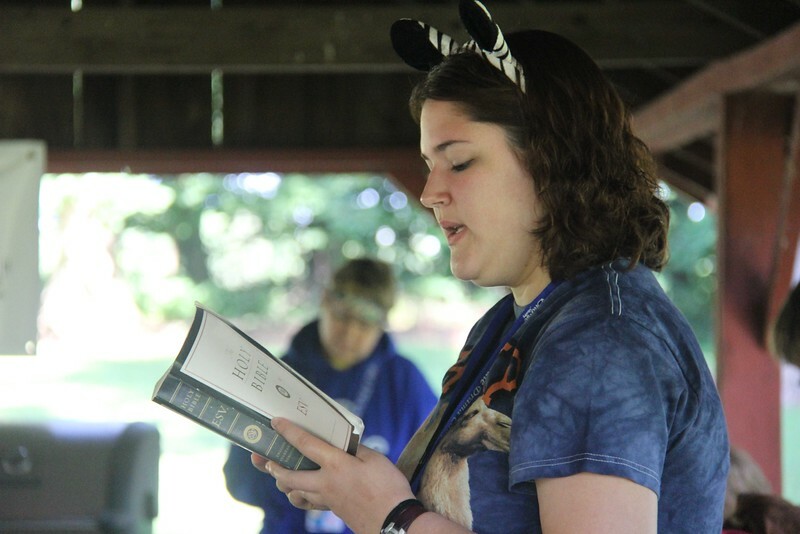 Drama campers learned a valuable Bible lesson this morning with Julie, but there's a catch! Campers threw Disney into the mix with a Peter Pan crossover. 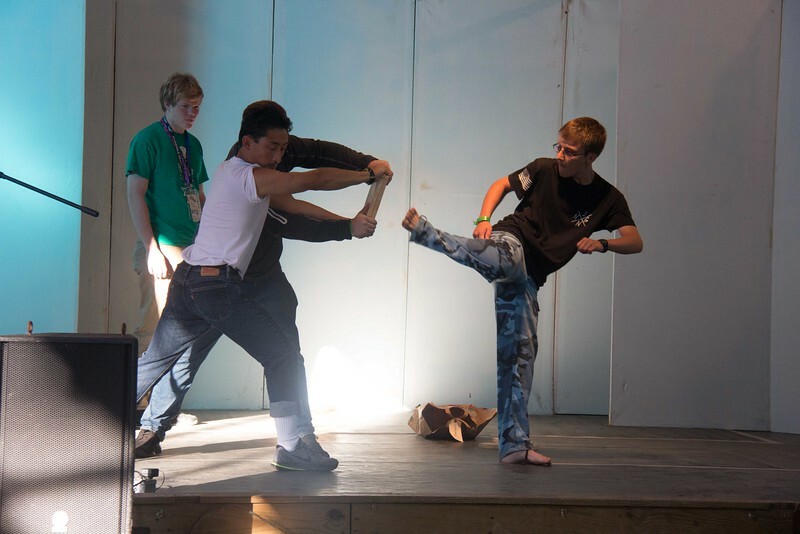 For one hour each day, Drama Camp staff leave their campers in the capable hands of Rivervale staff, who teach campers fun games that take full advantage of our grounds. 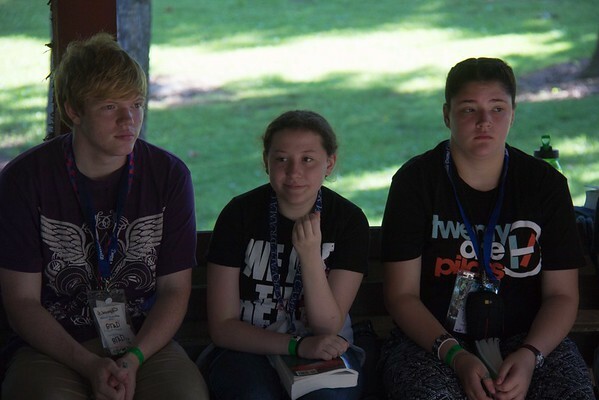 Throughout the week, drama campers learn valuable production skills from their team leaders. 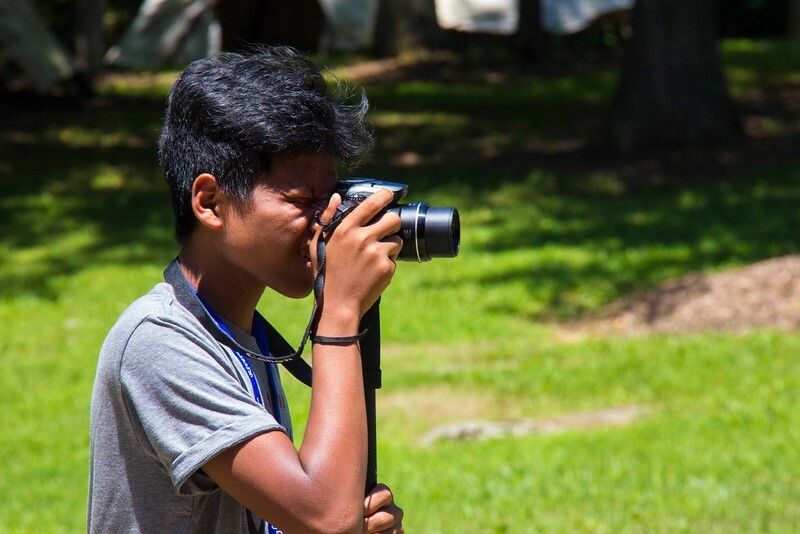 Today in their workshops, groups of campers learned how to shoot photos and video, read scripts and set up a stage curtain. Following swim tests Sunday evening, campers learned about finding a leader in Christ Jesus and following in his footsteps. 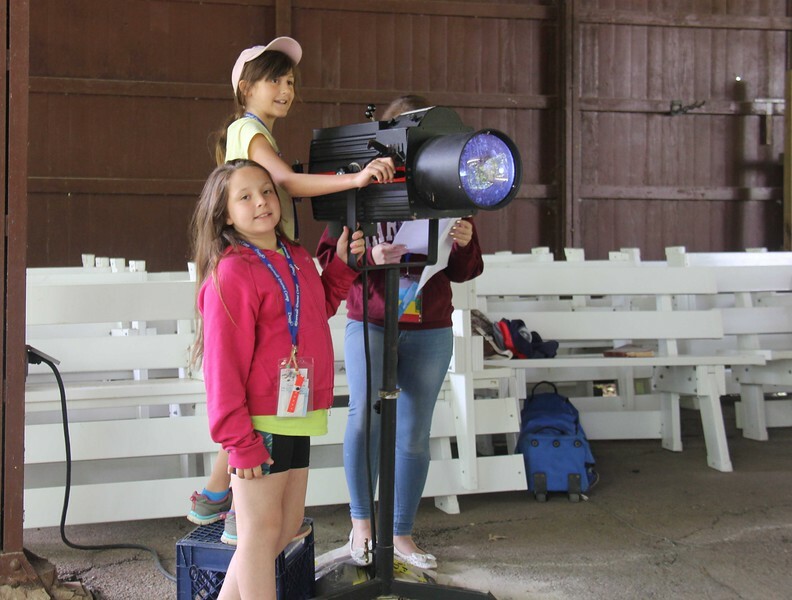 Shortly after check-in, Drama Camp's very own audiovisual experts instructed campers on the basics of camera and sound equipment. These attentive students learned the importance of settings such as aperture and shutter speed as well as a basic understanding of Rivervale's sound system. Parents poured through the front gate one after another to drop their kids off at Rivervale this afternoon. After medical and luggage checks were complete, campers were given the opportunity to purchase some official Camp Rivervale merchandise. Staff and counselors alike are excited for this 25th incartnation of Drama Camp!